Annie Mac, Richy Ahmed, David Rodigan and a Hospitality Arena will feature at Rise Festival 2018. 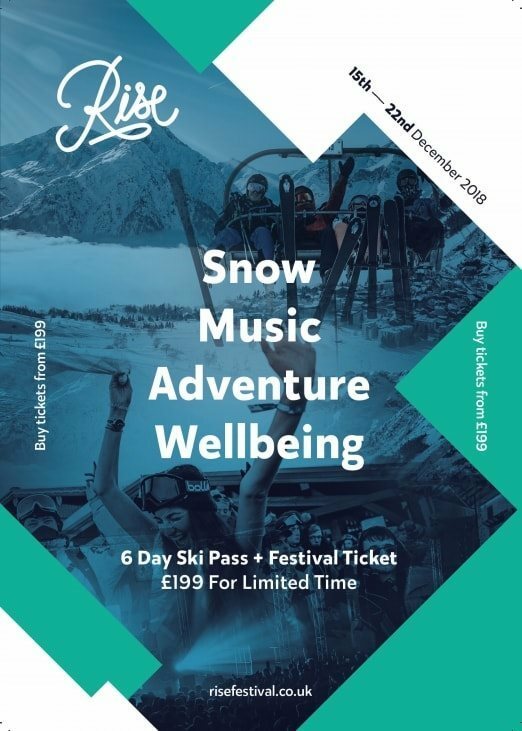 The week of snow sports and music returns to Les Deux Alpes, France from Saturday, December 15th to Saturday, December 22nd with Jasper James and Theo Kottis also confirmed. Announced for the Hospitality Arena are Danny Byrd present Atomic, Funk,S.P.Y and Fred V & Grafix. Expect further house, bass, hip hop, disco, techno and garage acts playing across cosy bars, main stages and snowy, mountain summits. Away from the music, Rise Winter Festival offers skiing, snowboarding, yoga, meditation, aprés-ski activities, a Christmas sing-song in the town square, husky sleds, snowshoeing and a Michelin starred restaurant. Open-air swimming pools, saunas and hot tubs will also be available. For tickets and details go to risefestival.co.uk.